Show off your love for modern style by making the WT-04-E a showpiece in your contemporary bathroom. This sleek, wall-mounted ramp sink features a ramp design that draws the eye toward the deepest part. Pair this sink with a single-hole faucet that mirrors the same simplicity of design to complete the look. The result is a relaxing, spa-like experience for yourself and your guests. This sink mounts directly to the wall using the strong, stainless steel hardware included. This gives the sink the appearance of floating in your room and keeps the floor below free for shelving, storage furniture. This minimalist look is enhanced with an extremely durable stone resin material that combines acrylic polymers with natural minerals. 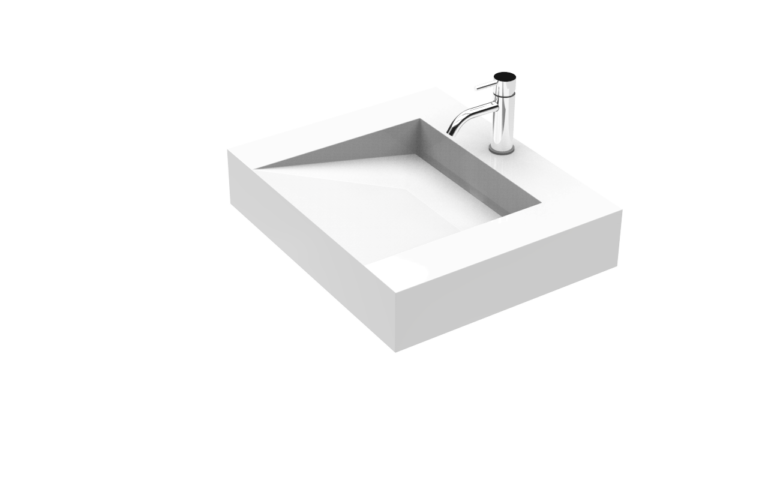 Available in both a matte white and glossy white finish, this sink provides the look of stone yet remains impervious to damage caused by moisture and humidity. 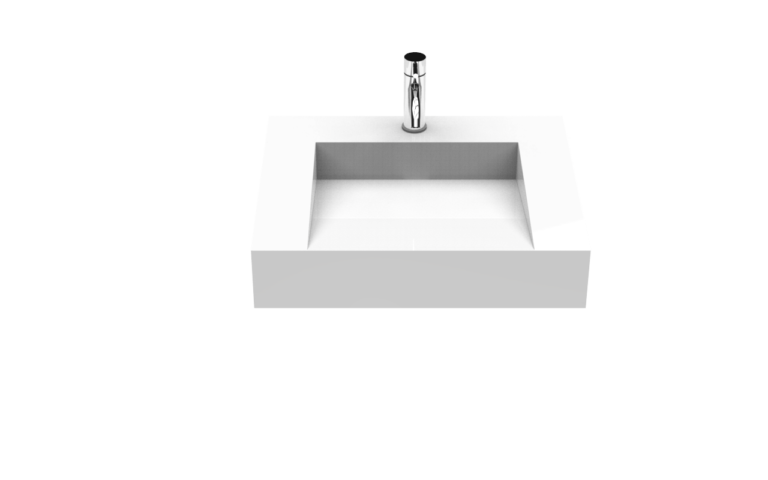 Bring a zen feeling to your bathroom with this eye-catching floating sink.